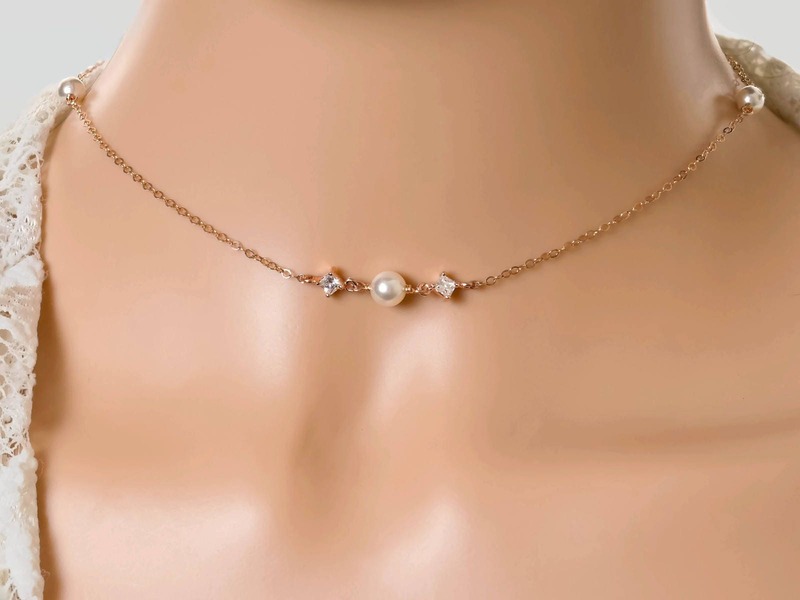 Dainty choker necklace made to measure, with cubic zirconia crystals and Swarovski pearl to sit in the centre of your neck and two further pearls or crystals to sit at the side of your neck. 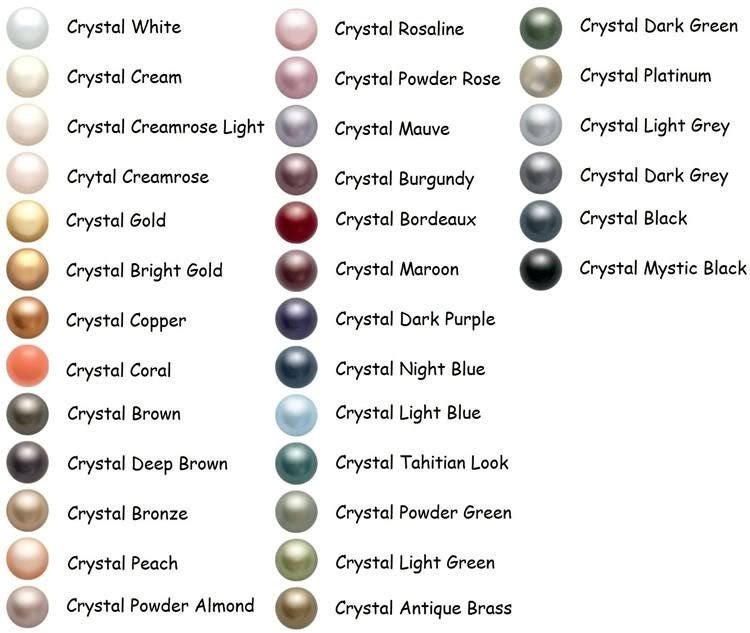 Choose your colour of Swarovski pearl. Made to measure for you. There is also the option to have this made into a back chain as shown in the pictures. Choose your material in Sterling Silver, 9 carat gold, gold filled, rose gold filled or Sterling silver rose gold or yellow gold dipped. If you choose the backdrop option, this is one long strand which you can self tie and can be worn to the front or the back. Made Swarovski crystal pearls or Swarovski crystal beads. If you want to wear the necklace as a back chain, the weight of the pearl or crystal strands will pull the necklace close to your neck to allow the front pearl or crystal to sit in the centre of your neck. ~ Choose colour and finish. ~ At checkout, please include in the note to seller, your pearl or crystal colour choice and, if choosing pearl and crystal mix, you have the choice to have either a crystal drop on the bottom or a pearl drop on the bottom. As this is a bespoke made to order item, please check current production times. I use 9ct gold or .925 Sterling silver chain bought from a certified U.K. Supplier - link can be supplied on request. Sterling silver rose gold plate items are made from chain that has a .925 Sterling silver core and has been plated over with a rose gold colour. Gold filled chain is suitable for people with allergies to plated metal, it is made by taking one or more sheets of solid gold (14K, 12K, 18K, etc) and wrapping them around a base metal under intense pressure. Unlike gold plated jewellery, gold filled jewellery has a commonly measurable amount of actual gold in it. Loved my necklace, so delicate and sparkly, and just the right length. Thanks for making and delivering so quickly! Highly recommend!